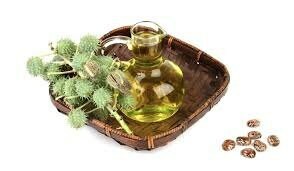 Our Castor oil is (Kosher) it is a vegetable oil, obtained from the castor seed. Botanical plant name Ricinus Communis, origin India. Castor oil is a therapeutic oil which is used for hair products, cold process soap making recipes (enhances the soap with extra lather and provides an added glide factor), put directly on the skin as a moisturizer. Can be used with cosmetic products, lotions and balms. Other usages include use as an emulsifying agent for water based products. Can also be used as a lubricant releasing agent. We use calculated shipping. Shipping is based on size and weight as well as destination. We will refund any shipping charge that is over $1.00 of the actual shipping cost. Please contact me if the cost of shipping does not seem right to you so that I can check on it and if necessary fix it for you. Again, we do refund any overcharges more than $1.00. We always try to use a flat rate box, purchasing more than one item at a time usually adds value to your order.